A study found that efforts by the U.S. Veterans Health Administration (VHA) to promote safer prescribing practices of opioids appear to be effective. According to research published in the Journal of General Internal Medicine, opioid prescriptions by the VHA have been on the decline after peaking in 2012. The drop-off in prescriptions is primarily due to a decrease in long-term opioid prescriptions, which pose a higher risk of addiction and overdose compared to short-term prescriptions, said Katherine Hadlandsmyth, Ph.D., lead author and professor at the University of Iowa. The study analyzed VHA prescription data from 2010 to 2016, which included more than 4 million veterans each year. According to that data, in 2010 opioids were prescribed at least once to 20.8% of veterans (962,193 out of approximately 4.63 million). The opioid prescription rate dropped in 2016 to 16.1% of veterans (803,888 out of 4.99 million) who received new prescriptions for opioids including oxycodone, hydrocodone and fentanyl. Researchers also looked into long-term opioid use, which accounted for around 90% of VHA opioid prescriptions during the 6-year period. The percentage of veterans receiving long-term opioid treatment went from 9.5% in 2012 to 6.2% in 2016. According to Hadlandsmyth, this is because fewer veterans receiving new prescriptions for opioids became long-term opioid users. The probability of a veteran becoming a new long-term opioid user decreased from 2.8% in 2011 to 1.1% in 2016. Hadlandsmyth believes that the improvement in prescribing practices could be the result of recent VHA initiatives that call for opioid safety and opioid alternatives in chronic pain treatment. Since 2010 the VHA has provided clinical practice guidelines to health care professionals about how to safely and effectively use opioids to manage chronic pain, as well as how to select and monitor patients and wean patients off of opioids if desired treatment outcomes are not met. The VHA also offers guidelines for complementary treatment and multidisciplinary therapy to manage pain, which include behavioral, chiropractic and stepped treatment, or delivering the most effective, least intensive treatment first, and “stepping up” to more intensive treatment as required. “Future work to understand precisely which initiatives have most positively impacted opioid prescribing would be necessary to maintain effective approaches within VHA,” said Hadlandsmyth. In the meantime, the VHA’s example could be valuable for other health care organizations. Prescription opioids are not the only way to manage chronic pain. At Hemet Valley Recovery Center, our Chronic Pain Program and First Responders Program have effectively helped hundreds of clients find relief from chronic pain without opioids and address the physical and mental aspects of addiction as they relate to military trauma. 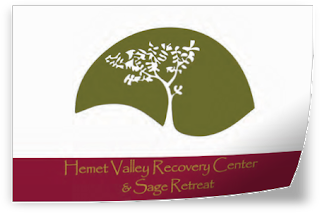 For more information about our addiction recovery services, please contact a Hemet Valley Recovery Specialist at 866-273-0868.